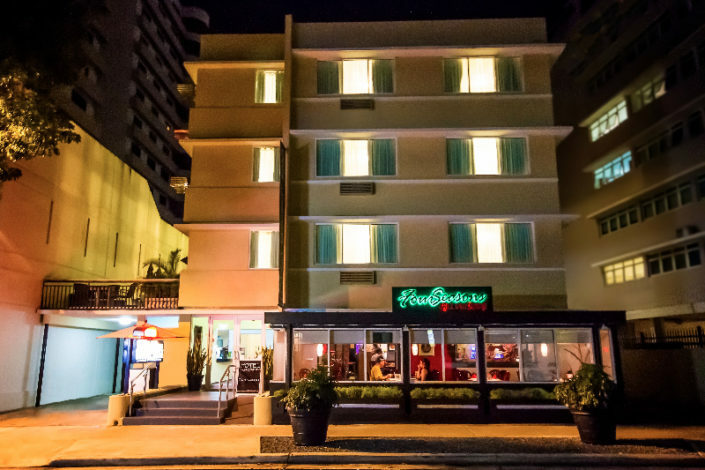 Casa Condado Hotel is located five miles from the San Juan Luis Munoz Marin International Airport (SJU), three miles from Old San Juan, and is a couple of blocks away from the Condado Beach, Plaza del Mercado, Centro de Bellas Artes Luis A. Ferre, and Museo de Arte de Puerto Rico. 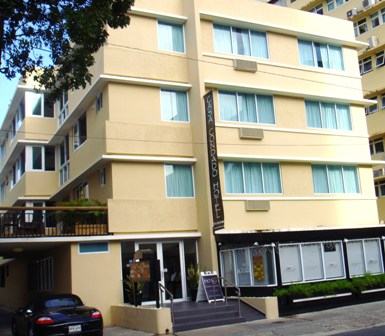 The hotel features include a 24-hour Front Desk, air-conditioning, complimentary breakfast, concierge desk, complimentary Wi-FI, multilingual staff, daily housekeeping, wake-up calls, sun deck with sofas, chairs and tables, ample common areas, parking (limited spaces), public parking is available nearby and Primitivo Condado, a Seafood, Puerto Rican, and International cuisine restaurant on the ground floor of the hotel. 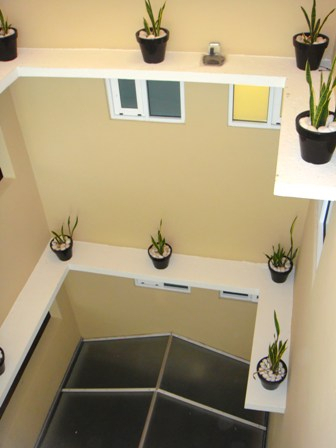 The hotel is a smoke-free property and does not allow pets. 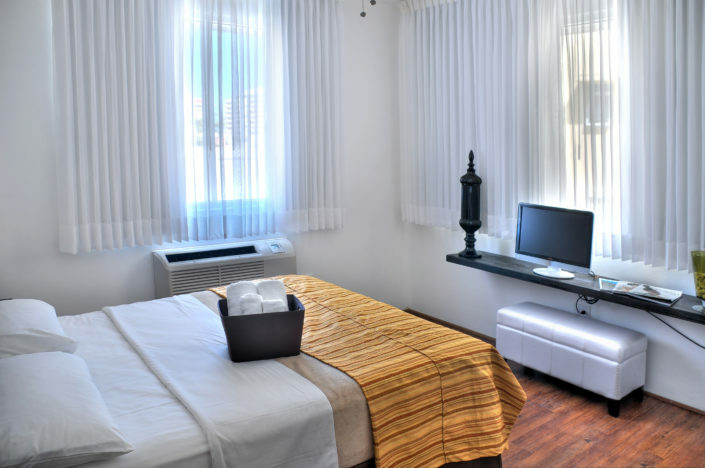 The guest rooms include cable-equipped LCD TV, air-conditioning, Queen-size bed, ceiling fan, private bathroom, shower only, safety box, and desk. 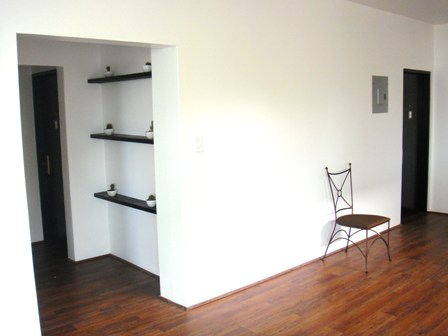 Maximum of 2 persons per room. Irons and blow dryers available at the Front Desk. 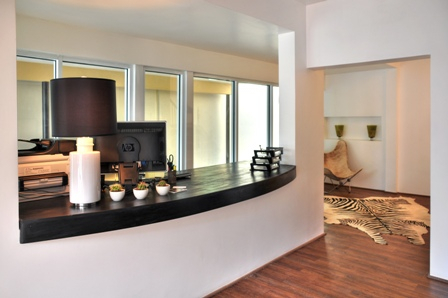 Casa Condado Hotel is a new hostelry with an ambiance of comfort and personal service in mind. Our 24 air conditioned rooms – elegantly decorated with a minimalist style – prove to be the perfect environment for an exciting vacation or a quiet stay on a business trip. Additionally all of our simple and beautiful rooms are ideally conceived to provide peace and relaxation at the best price. 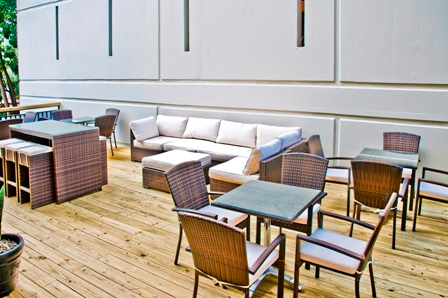 On the second level, our stylish terrace, also known as the green area, is decorated with sporadically placed chairs and hammocks. 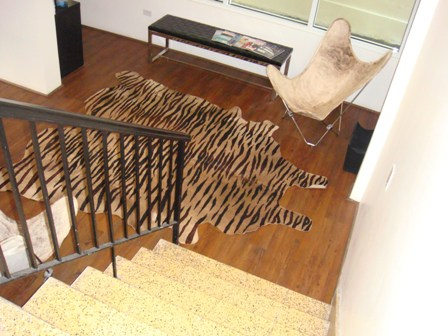 In the steamy evenings, guests can enjoy the sea breeze accompanied by the sounds of music in this area. 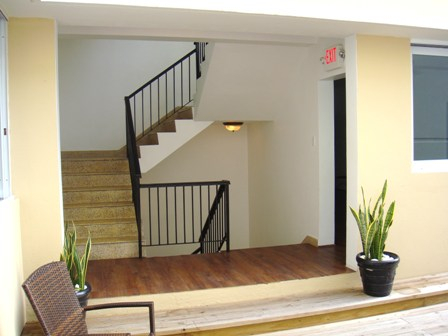 Casa Condado Hotel is a three-level walk up Boutique Hotel with an interior stairway as an easy access to guest rooms and other common areas. 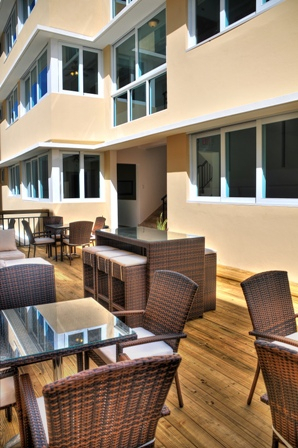 Service and maintenance are priority in Casa Condado Hotel. 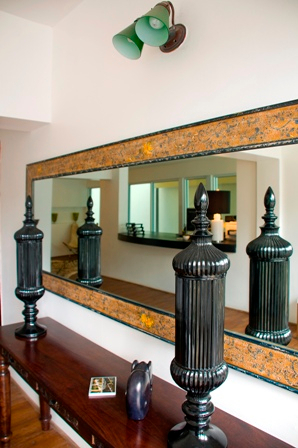 Rooms and all Hotel areas are immaculately clean and impeccably well-maintained. Seafood and Puerto Rican cuisine is available at the Primitivo Condado Restaurant www.primitivocondado.com , on the ground floor of the Casa Condado Hotel. Those wishing to venture out can safely do so and discover the nightlife and the several other stylish restaurants located at walking distance from the hotel. 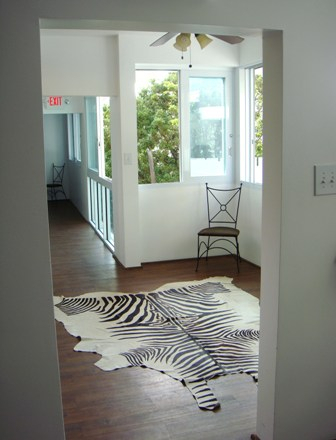 Fitness Centers and spas are available nearby, as well as pristine beaches facing the Atlantic Ocean just a block away. A complimentary voucher for a welcome cocktail at our Restaurant in Old San Juan, Restaurante El Asador. 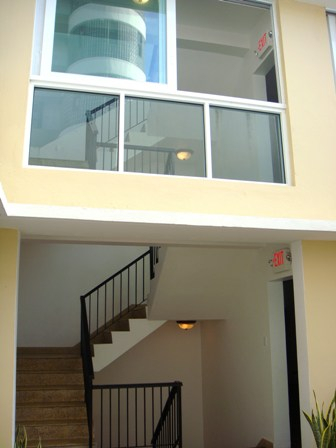 You can visit our page at www.elasadorpr.com .